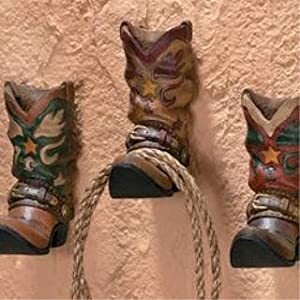 Cowboy Themed Nursery Decor Add to Flipboard Magazine. 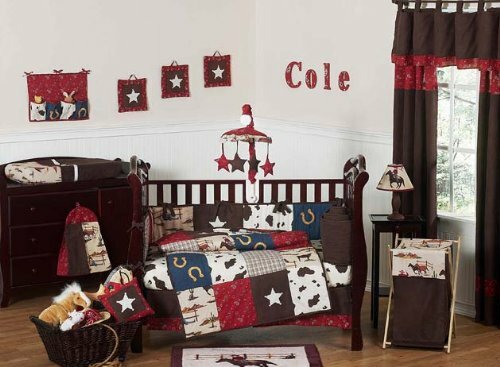 Cowboy Themed Nursery Decor is the perfect crib ensemble for your little boy. Cowboys and Indians are what little boys dream about. The next thing you know, he will be wishing for a pony of his own so he can be a real cowboy. 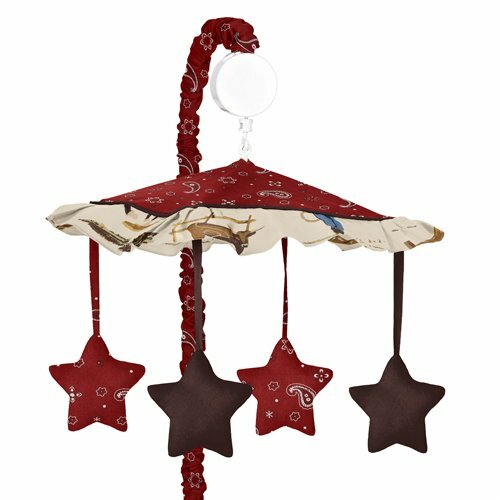 They grow up too quickly, so enjoy them while you can in this cowboy themed nursery. This room will have plenty of horses, cows, Indians and stage coaches for years for of play time. 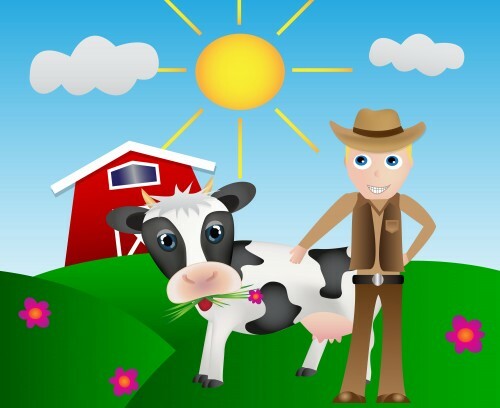 When I was a kid, every little boy wanted to be a cowboy and wear the white hat. 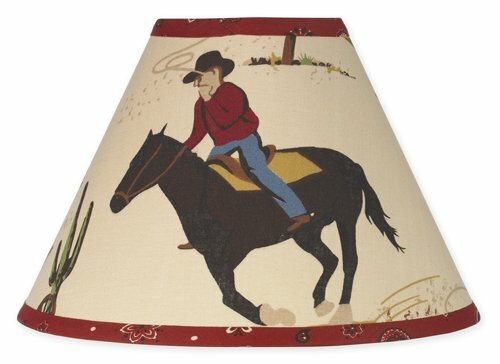 Cowboy movies were popular and TV shows as well. Saddle up cowboy and get ready to ride! 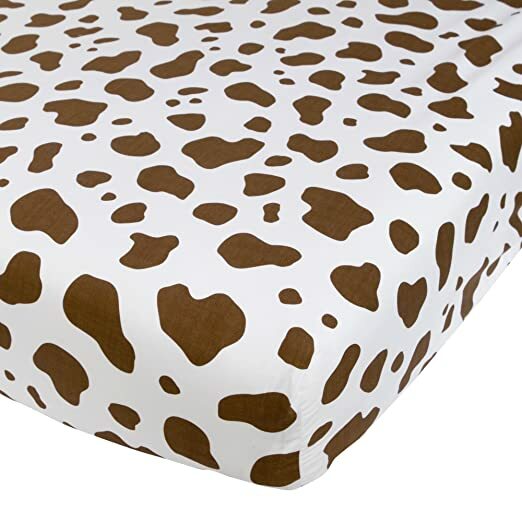 They used a combination of a trendy animal print, denim, chenille and suede for this action packed adventure. 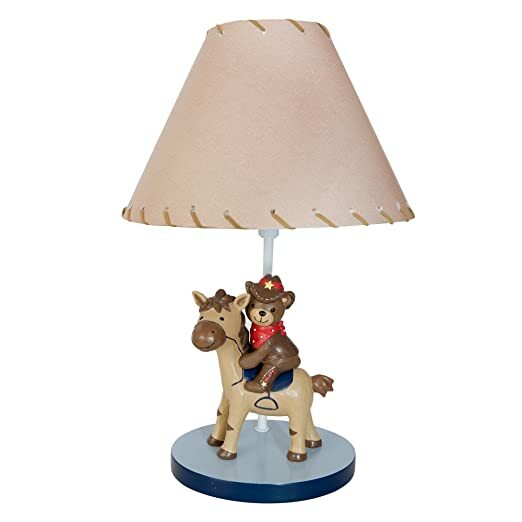 Our favorite cowboy teddy rides Biscuit alongside a delightful hobby horse, cowboy boot and cactus with a 3D rope trim. 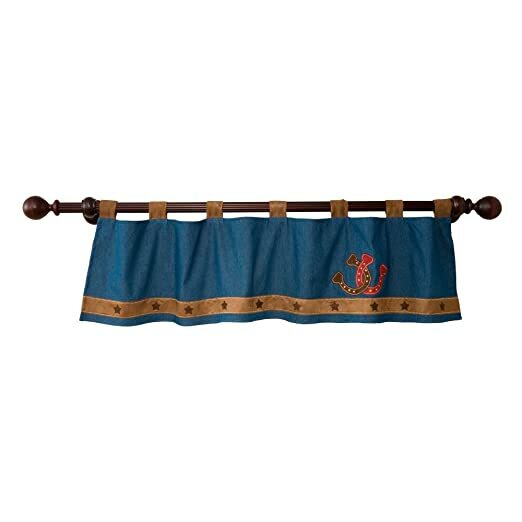 Set includes quilt, sheet,dust ruffle, diaper stacker, window valance, lamp with shade, and wall appliques. Machine wash cold with like colors in gentle cycle, do not bleach, and tumble dry low. Red bandannas and cows just go together. 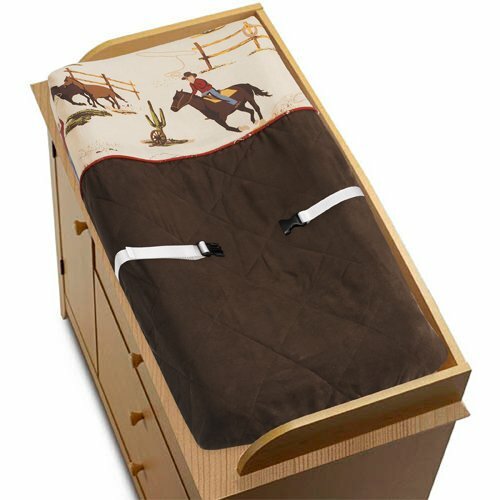 This adorable nursery set uses both of those to give us the cowboy feel. It also has embroidered horseshoes and sheriff stars on the comforter. In this you will get the Crib Blanket, Bumper Pad, Fitted Sheet, Bed Skirt, Window Valances, Diaper Stacker, Toy Bag and Throw Pillow. 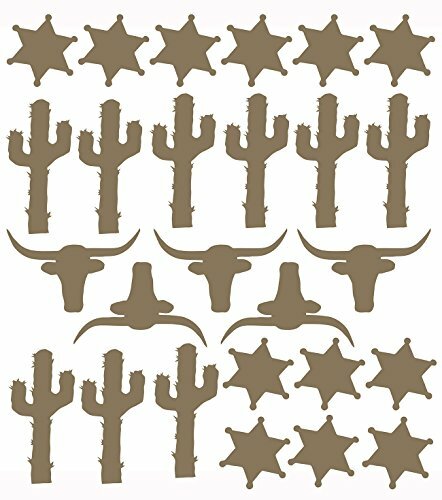 More than enough to start decorating a baby boys cowboy themed nursery. 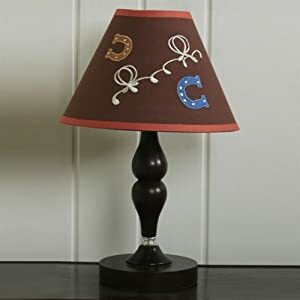 This design has matching accessories such as mobiles, lamp shades, window treatments and wall decor that you can purchase separately. Howdy Cowboy! 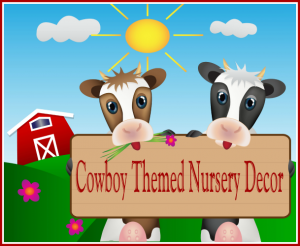 Welcome to your new cowboy themed nursery. 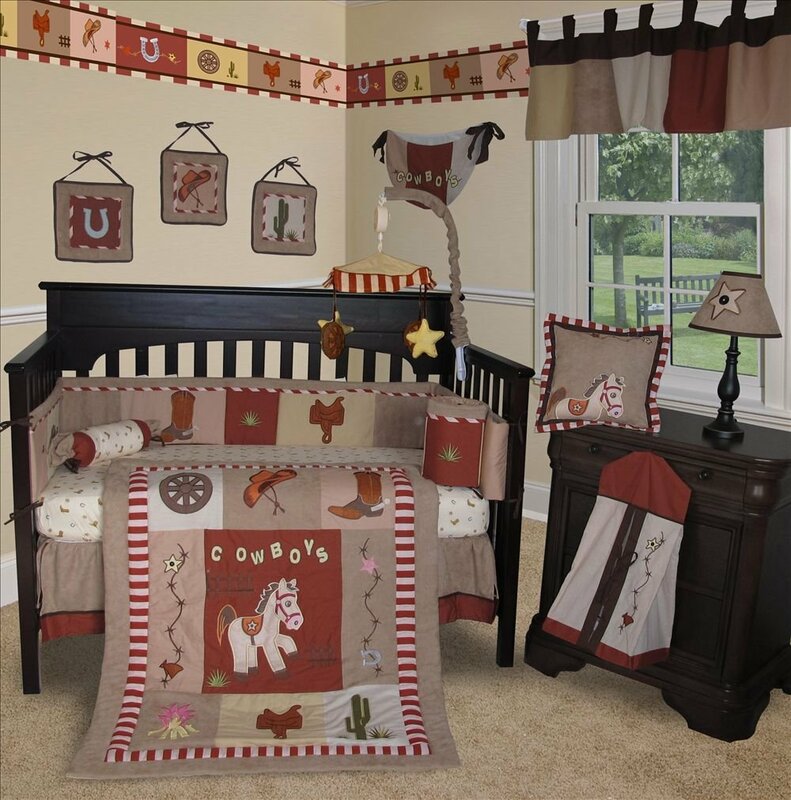 This set has 13-pieces: comforter, bumper, fitted sheet, skirt, two window valances, diaper stacker, toy bag and two throw pillows, three wall art decor hangings. 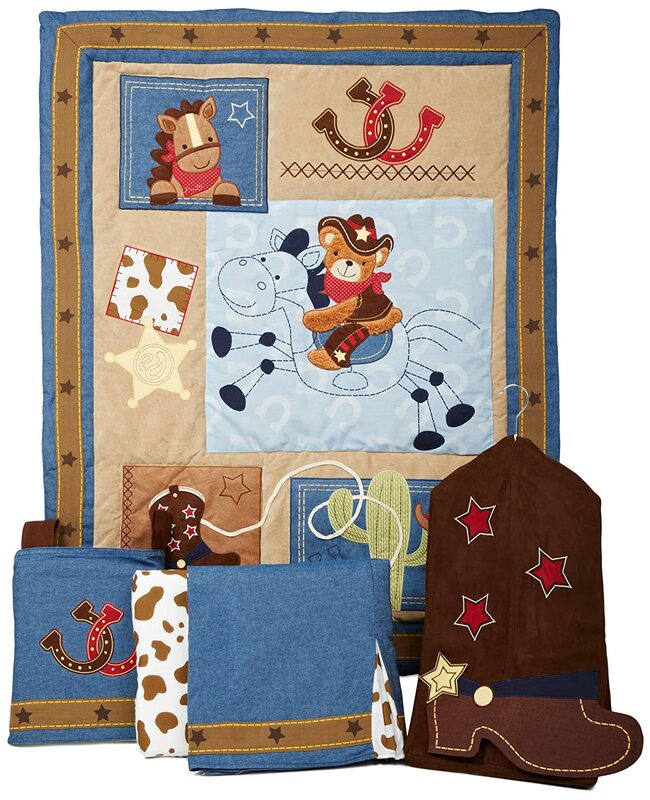 What is so nice about this Cowboy Themed nursery decor is that the pattern is sewn in, like a real quilt. This quilt will last a long time. There are extra matching pieces that can be bought for this nursery set. 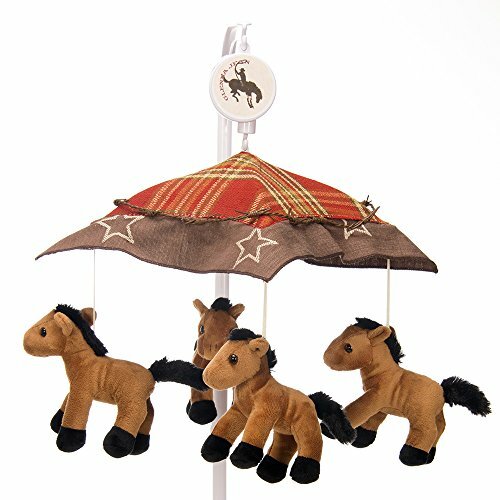 This is a huge Cowboy Themed nursery set with 14 pieces. 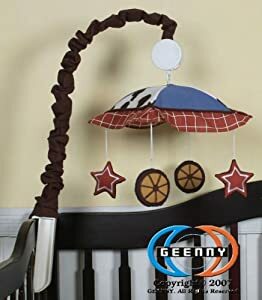 Included in this set is: Crib Quilt, Crib Bumper, Fitted Crib Sheet, Crib Skirt, 2 Window Valances, Toy Bag, Diaper Stacker, 3 Wall Art Hangings, Decorative Accent Pillow, Custom Decorative Pillow, Lamp Shade (base not included). This company will embroider your baby’s first name or initials on one of the pillow cases if you would like at no extra charge. How special that will look in your babies crib. There is a matching music mobile, but it is sold separately. The bedding set is machine washable.